Welcome to Signs and Miracles from God - God's Global Miracles! 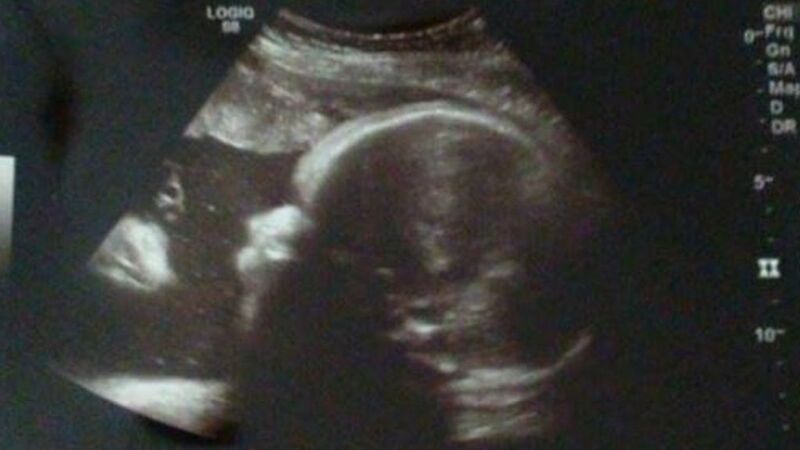 Baby's Sonogram Shows Jesus Watching Over Little Girl! A story broke this week about a Pennsylvania couple who say Jesus is watching over them. The couple said they couldn't believe their eyes when their baby girl's sonogram showed Jesus watching over her. The couple have had two children born with birth defects and the second childbirth was very difficult for the mother Alicia Zeek. So when the doctors gave them the sonogram for their third child, they were stunned to find an image of Jesus looking down on their daughter. Alicia's fiance' Zac Smith said it made him nearly cry. Their daughter Briella has since been born and is a healthy baby girl. Both mother and daughter are doing well. 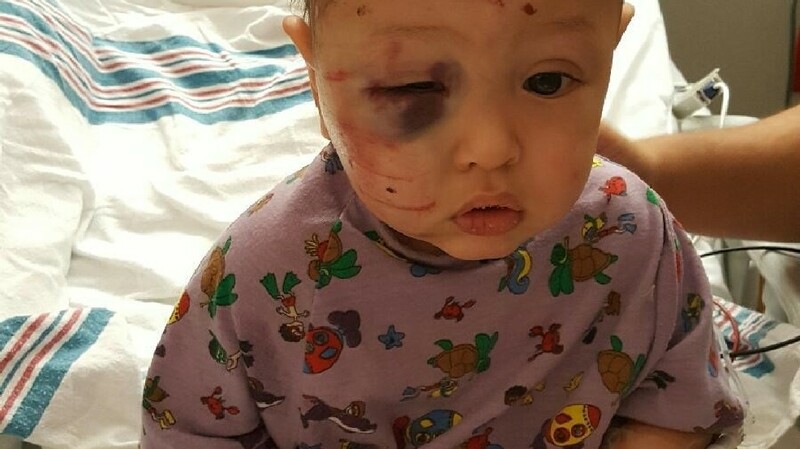 Jesus Took The Wheel--Infant Survives Being Run Over By SUV At DayCare! DRIVING ON SNOW AND ICE CAN BE A DEATH TRAP- BUT IN ONE MAN'S CASE HIS FAITH BROUGHT HIM GRACE FROM DEATH through a Modern Miracle!!!! 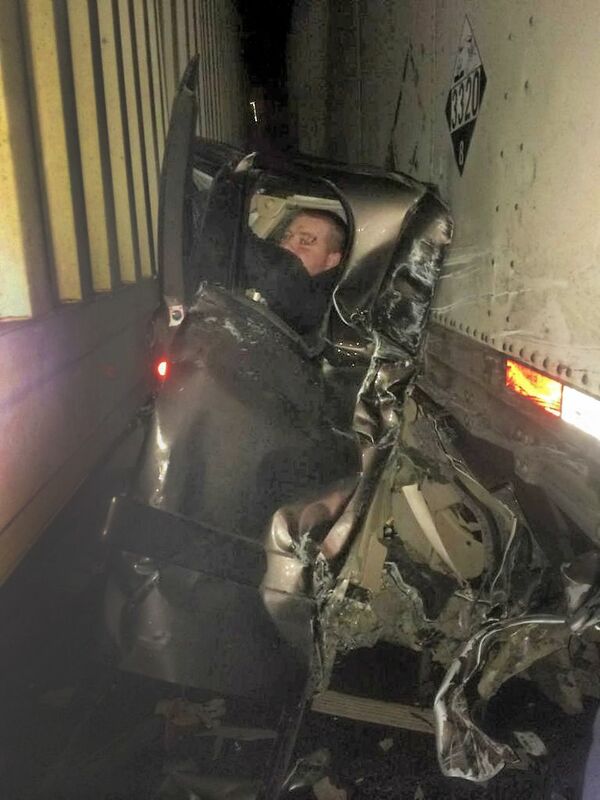 KALEB WHITBY Was driving on the Interstate of Oregon in January of 2015 when he hit a patch of ice and snow and collided with a Semi- and moments later a Semi (18 wheeler tractor trailer truck) slammed into him. Kaleb saw the truck coming at him in the rear view mirror and prayed to God.... he walked away with a few scratches!!! In The Name Of Jesus Miracle! One Can Certainly Understand How Carrying The Name Of The Son Of God Would Be A Special Experience --and For One Man Who Bares His Name- It Was a Miraculous Modern Miracle- Just A Few Days Ago! 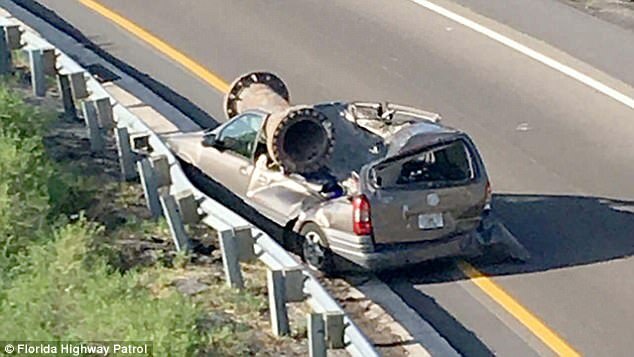 Jesus Escobar- (pronounced Hay-zeus) was driving on Interstate 4 in Florida just outside Orlando when a truck lost control and flipped causing it's cargo the large highway post pole in the above picture to fall from a bridge above and crush his car. Miraculously, Jesus survived with minor injuries! Pastor Lori Hovey- I am a Missions Pastor working in Virginia! My Goal is to "Prepare the Way for the coming of the Lord". My Task HERE Is spreading FAITH in him by showing the world---OUR FATHER IN HEAVEN IS HERE EVERYDAY!!!! !- HE IS LOVING-KIND-FUNNY-BENEVOLENT-STRONG-FORGIVING AND TOUGH IN THE BATTLE AGAINST THE CANCER OF EVIL! TIME IS SHORT BEFORE HIS RETURN!!!!! ​KEEP WATCH FOR HIS WORKS!!! !